Oblique aerial view of Fearn Airfield military camp, looking NW. Oblique aerial view of Fearn Airfield military camp, looking NE. 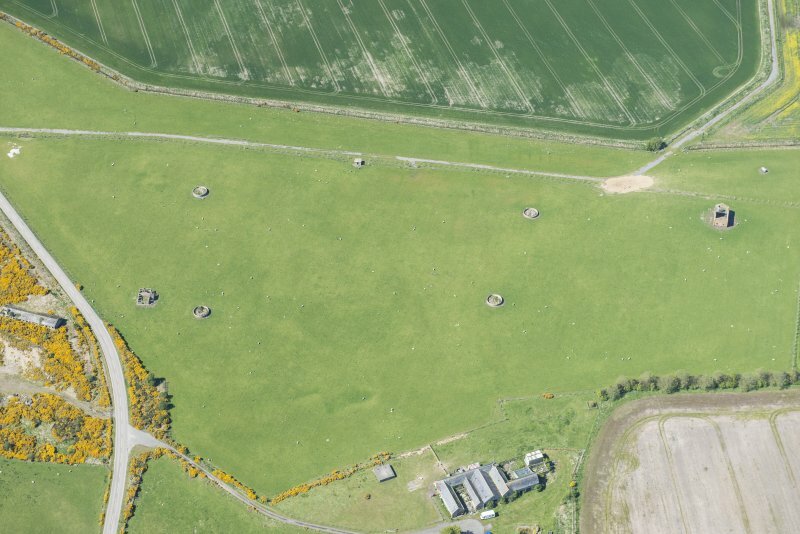 The remains of an accommodation camp for personnel of Fearn Airfield is situated on rising ground to the E of the Airfield. 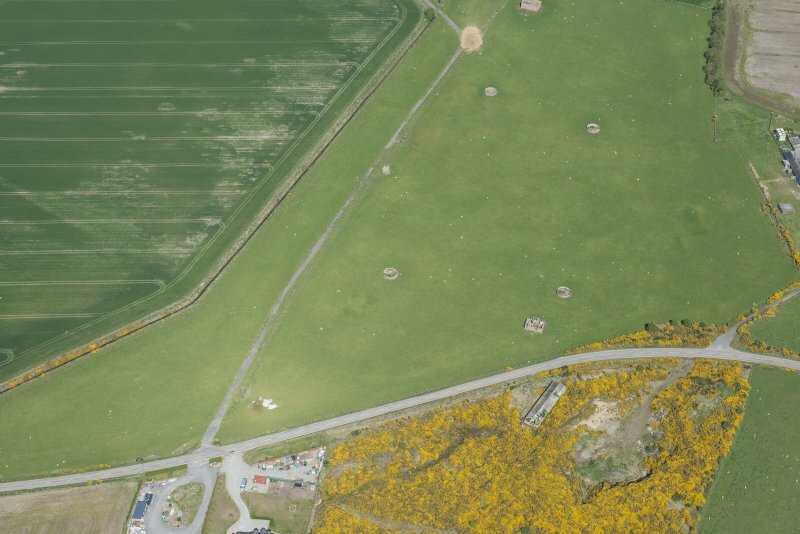 The camp has been demolished, but several hut bases along with one complete building of brick and concrete and the perimeter fence of concrete posts survive in an arable field below Balintore Farm. 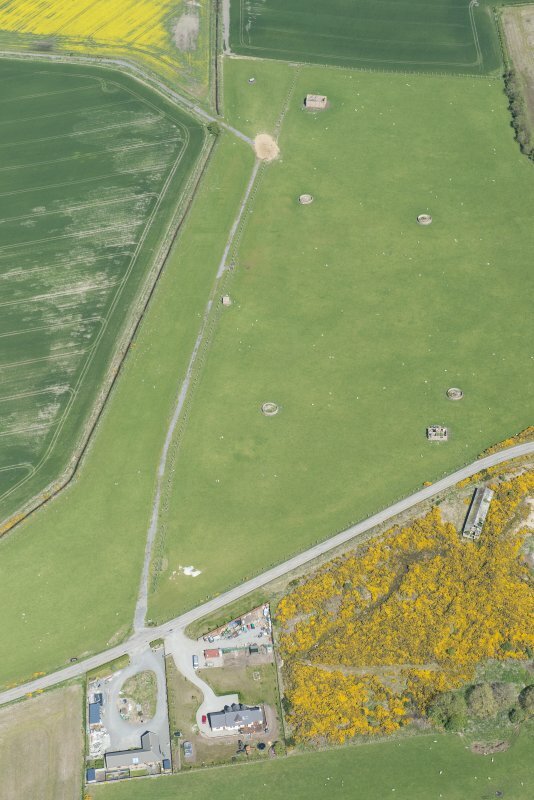 The camp is visible on vertical air photographs (RAF CPE/Scot/UK/223, flown 1947, 4153-4) occupying a triangular area of rising ground on both sides of the B 9166 public road. The site was visited as part of a walkover survey ahead of a new pipeline to be laid in the area. The existing building of brick and concrete could be a lavatory block, but was not visited due to sheep and lambs in the field in which it is situated.